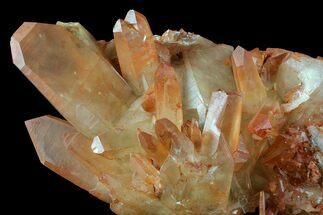 This is a beautiful cluster of natural red quartz crystals from Tinejdad, Morocco. 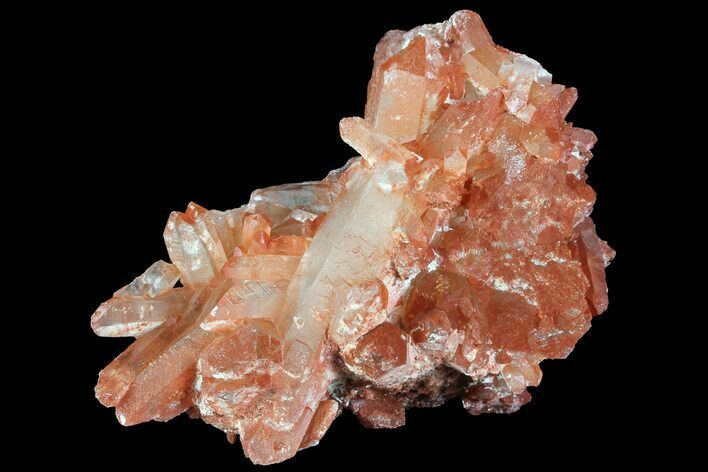 The deep red coloration is due to iron oxide both as inclusions within the crystals and coating the exterior. 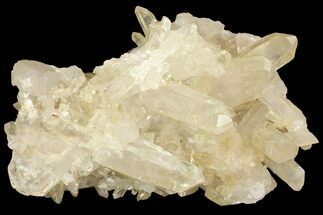 Silicon Dioxide, also know as SiO2 or Quartz, is the second most abundant mineral in the Earth's crust. 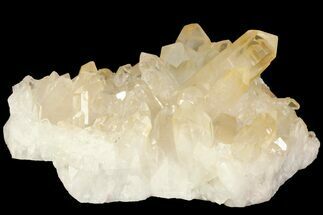 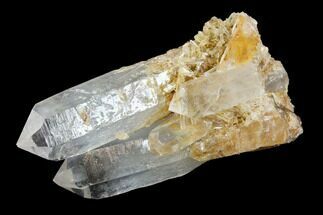 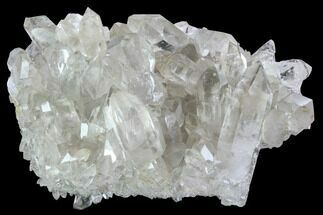 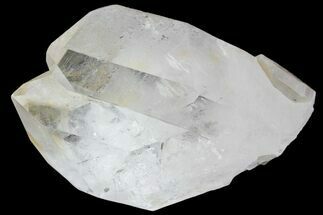 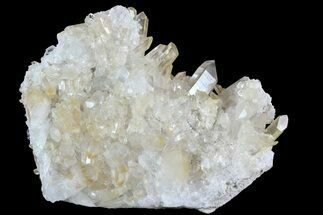 Quartz crystals generally grow in silica-rich, hot watery solutions called hydrothermal environments, at temperatures between 100°C and 450°C, and usually under very high pressure. 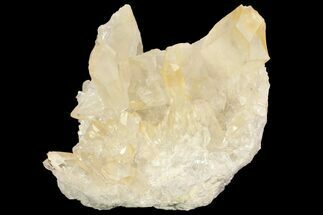 Quartz veins are formed when open fissures are filled with hot water during the closing stages of mountains forming, and can be hundreds of millions of years old.